This debut novel from one of the most exhilarating short story writers to recently emerge is a bleak and gripping meditation on family, love and lust in a Welsh coastal town. A desire to forget his childhood leads Luke to relocate to work on a farm, where he meets his wife-to-be, Jenny. All is well for the couple and their baby son until the arrival of Jenny’s estranged sister Christine, whose two weeks with the family force Luke to make a life-changing decision as a dark mystery slowly reveals itself. This is a heavily character-driven novel, short on action but strong on interplay. The scenes between Luke and Christine in particular stand out, thanks to Price’s ability to wring tension out of every page. The silences he creates between his dialogue exchanges are quite remarkable: an unspoken tension rolls across the narrative. There’s elegance in Price’s crafting of sentences, and his prose is lyrical and hugely engaging. 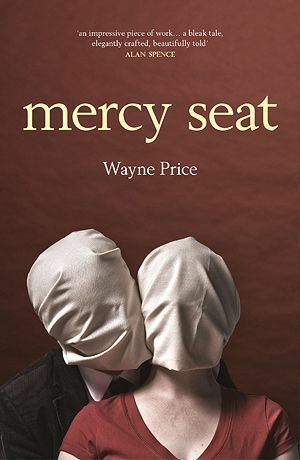 Mercy Seat grips instantly and squeezes tighter with each chapter, as the relationships between sisters and husband head inexorably towards collapse. Out Mon 23 Feb, published by Freight Books.